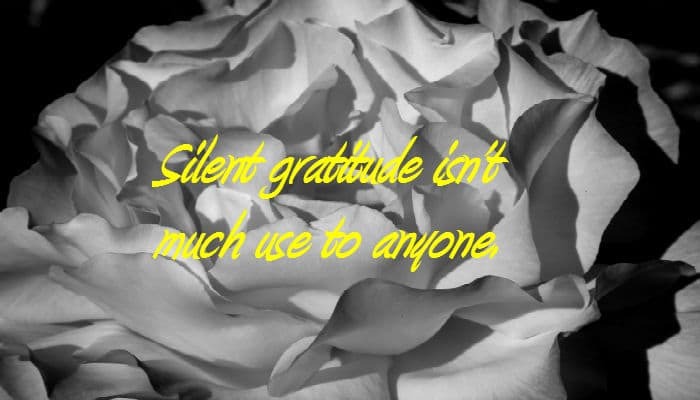 Saying thank you to someone is often overlooked by many people is this busy world. This is why we have designed this attractive “Say Thanks” ecard for you to send your message of appreciation to someone important to you and deserves your thanks. It has a simple illustration of a rose reproduced in soft focus monotone on the front page. You have the option of writing your own message on the front and back pages. When do you need to send these messages? Whenever there is a need for you to say thanks to someone. That someone could be a valued client thanking them for their custom. Alternatively, an employee for some outstanding work they have produced. On the other hand, just to someone who is close to you who deserves your thanks? Although anytime can be considered a good time to send a thank you message. One of the best times is during the festive holiday season in December. Businesses both large and small are faced with the task of sending out thank you messages to all of their customers and business associates, and this is when ecardshack would be delighted to help you with this task. Christmas ecards for business are the most economical way of sending out your business messages. We have an impressive range of e Christmas cards for business and we will be pleased to help you select the right ecard for you.